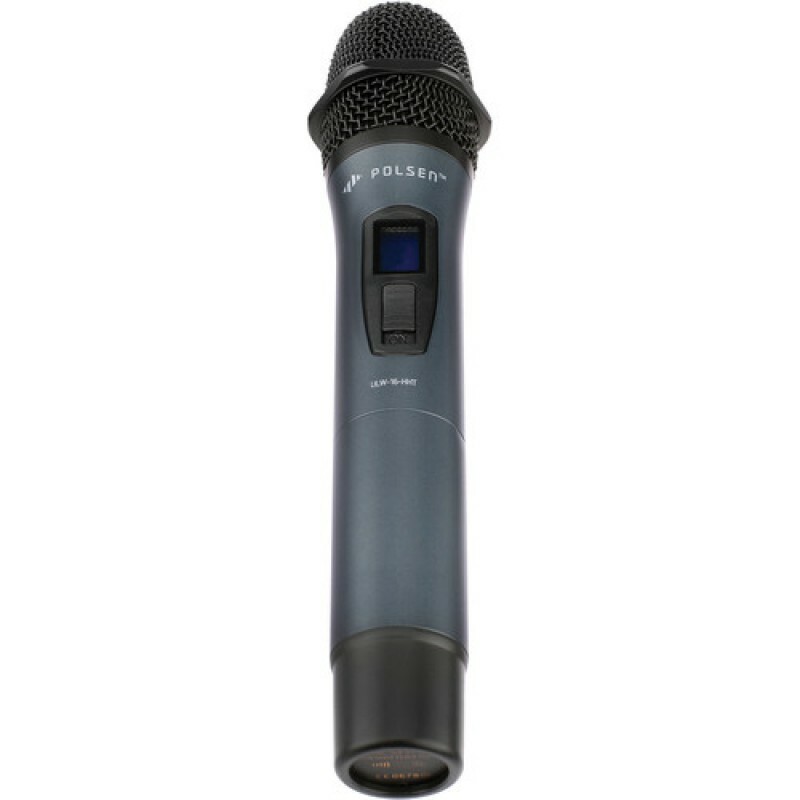 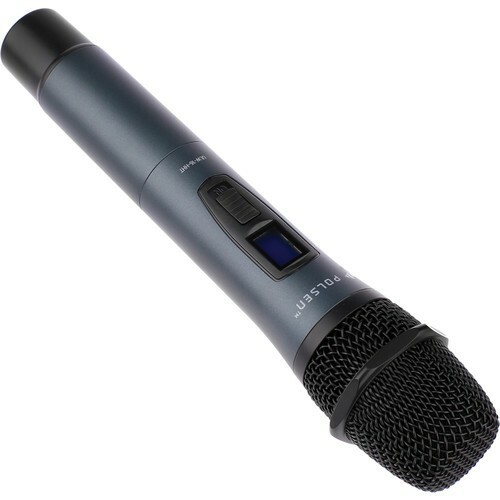 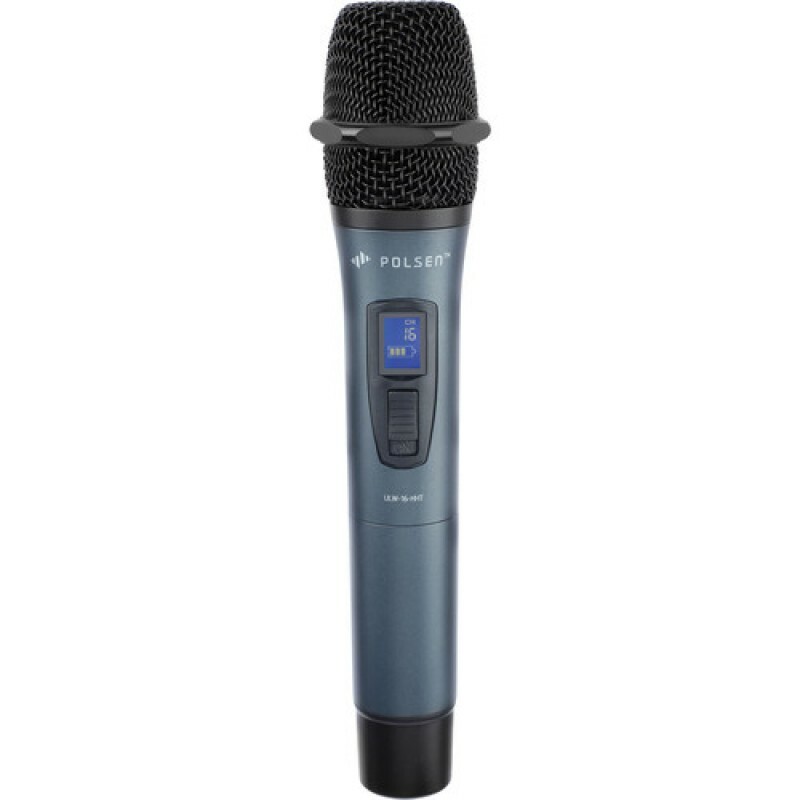 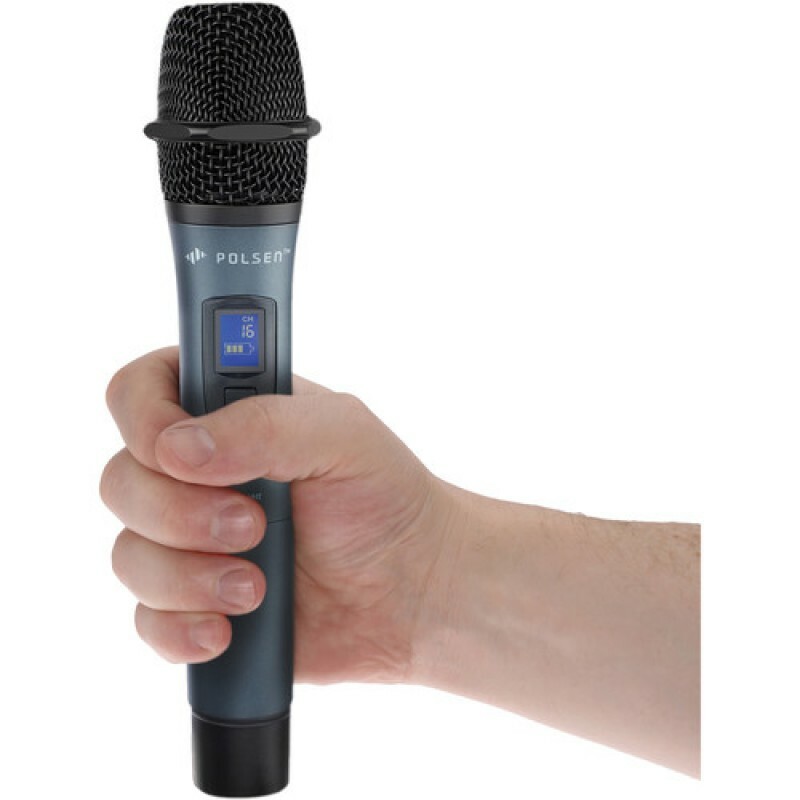 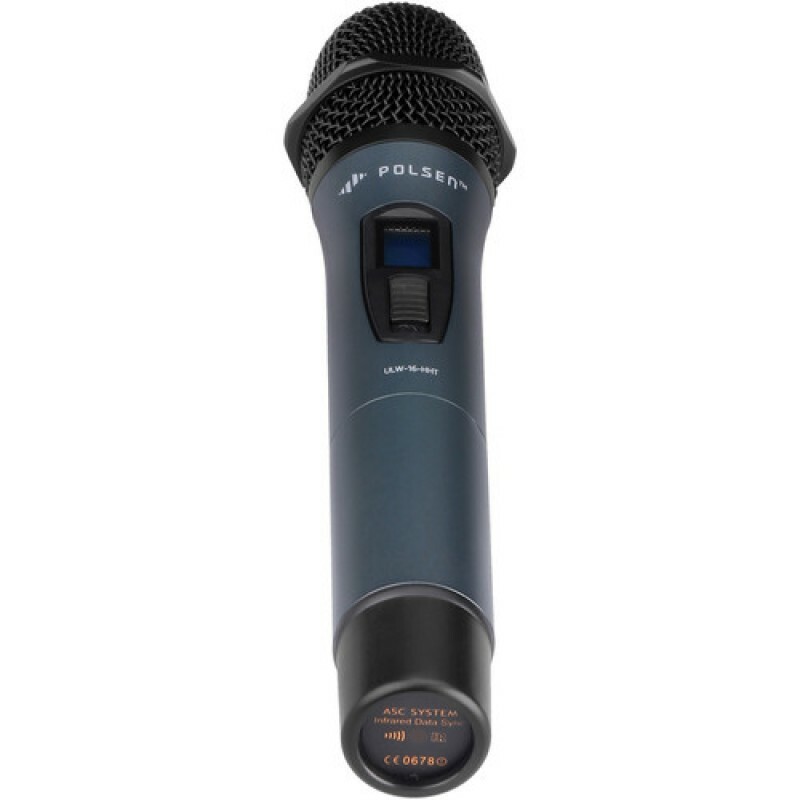 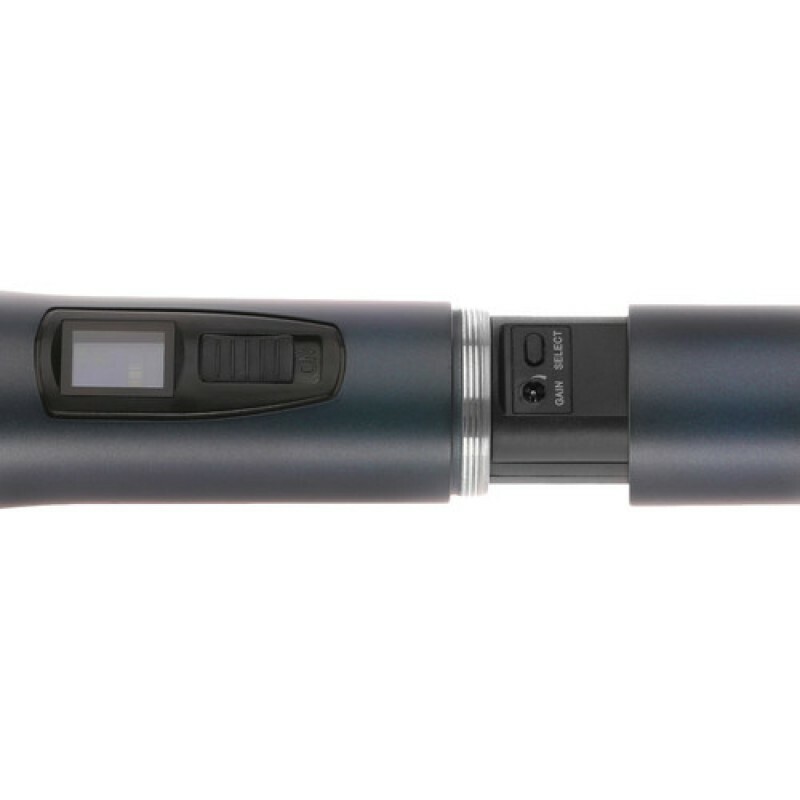 The ULW-16-HHT from Polsen is an all-metal, 16-channel UHF wireless dynamic handheld transmitter for capturing audio. It can be used in various environments when paired with the Polsen ULW-16 receiver for applications such as broadcast TV, live stage, public speaking, and more. The transmitter capsule is offered in a cardioid polar pattern, which is ideal when background noise needs to be minimized. The ULW-16-HHT transmitter has several features such as 102 dB signal-to-noise ratio and a wide frequency response of 60 Hz to 18 kHz. 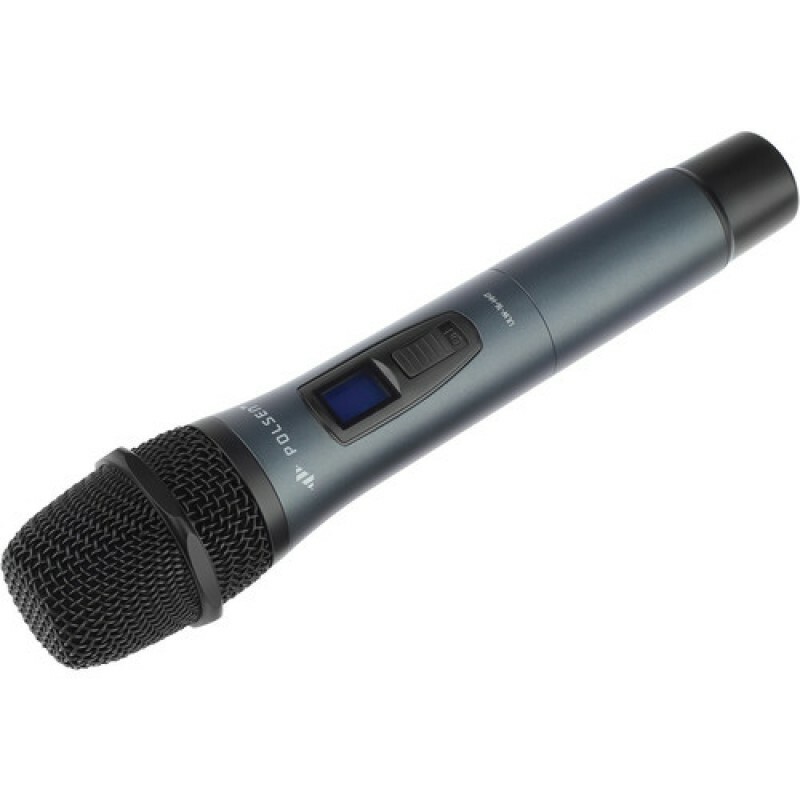 It is built with a channel selector button and allows you to switch between the units 16 UHF channels. 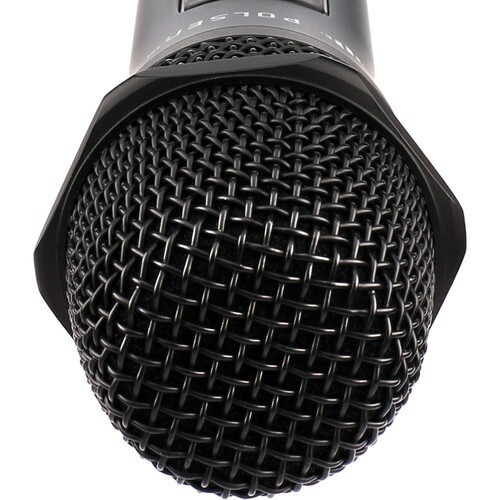 The dual-purpose integrated foam windscreen is designed to minimize vocal pops and wind noise but also to protect the mic capsule from moisture. Heavy-duty metal construction assures the ULW-16-HHT can withstand the rigors of transportation and field recording. The handheld transmitter is powered by two AA alkaline or rechargeable batteries and can operate approximately 8 hours. 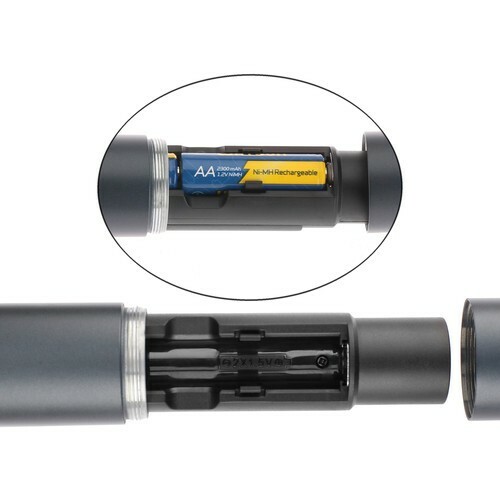 The ULW-16-HHT operates between frequencies 584.400 to 602.450 MHz and has a transmitting distance of over 100'.